Georgia has recently submitted import responses for all pesticides listed in Annex III of the Rotterdam Convention. This submission follows Georgia’s participation as one of 10 countries in a workshop that took place from 7 to 11 of July 2014 in Tbilisi, Georgia, and convened under the Food and Agriculture Organization of the United Nations (FAO) and the European Union (EU) partnership project “Improved pesticides and chemicals management in the former Soviet Union”. Implementing partners include Blacksmith Institute, Green Cross Belarus and Switzerland, Milieukontakt International, the International HCH and Pesticide Association, Pesticide Action Network UK, and the Secretariat of Rotterdam Convention. Exporting Parties shall take appropriate legislative or administrative measures to ensure that exporters within their territories comply with the decisions in each import response provided by Georgia. They shall also advise and assist importing Parties, upon request and as appropriate to obtain further information to help them to take action and to strengthen their capacities and capabilities to manage chemicals safely during their life-cycle. All this reduces considerably the risk posed by hazardous chemicals and pesticides through appropriate knowledge and information exchange. If a final decision cannot (yet) be taken, a country should at least submit an interim response, including an interim decision to import or not to import, a statement that a final decision is under consideration, a request for further information and/or a request for assistance in evaluating the chemical. Parties that have not yet submitted import responses for all annexed chemicals may wish to contact the secretariat or communicate with other Designated National Authorities from countries like Georgia for guidance. Information relevant to import responses including the form for submission can be found on the website of the convention. The Secretariat is now looking forward to receiving import responses for the listed industrial chemicals as well as notifications of final regulatory action from Georgia. Notifications of final regulatory action are the means by which Parties inform the Secretariat of their national actions to ban or severely restrict a chemical for human health and environmental reasons. 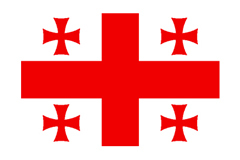 Georgia ratified the Rotterdam Convention and became a Party on 27 February 2007.